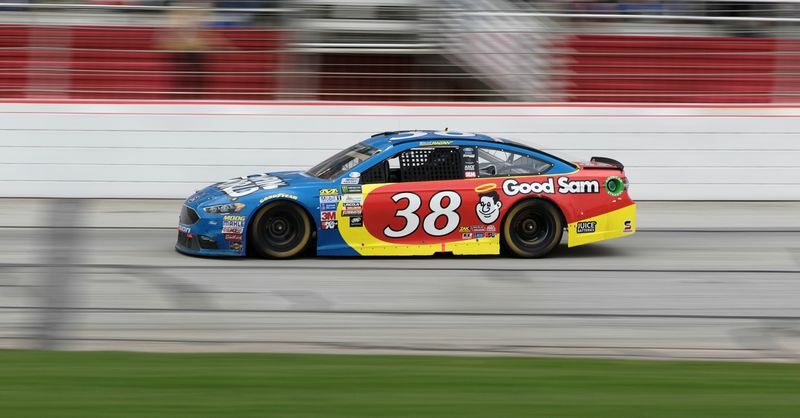 Perhaps no other driver on NASCAR's national touring series circuit has a closer connection to Atlanta Motor Speedway than David Ragan. There's the phrase "home track," and then there's just "home." And home is exactly what the 1.54-mile speedway, located 25 miles due south of downtown Atlanta, is and has been for the 32-year old Georgia driver almost from the very beginning. Before he was turning laps in stock cars on NASCAR's biggest stage, Ragan was quite literally growing up on and around - and you might even say with - AMS. He was even along for the ride when track was being redeveloped into its current iteration over two decades ago. "Atlanta Motor Speedway has a special place in my heart," said Ragan. "I lived in one of the condos there in 1996 when they were resurfacing the racetrack. Every morning I would sit there at the glass and see the bulldozers and grading equipment tearing down the track and repaving it." With Ragan's father, Ken, stepping in to run Atlanta's fledgling Legends racing program at the time of the track's reconfiguration and installation of the quarter-mile "Thunder Ring" in the mid-1990s, living at the race track was one of several perks for the aspiring young driver. Undoubtedly, though, the best perk of them all was one that forged an eternal bond between him and the track itself. Though completely unauthorized - and unbeknownst to anyone else at the time - Ragan unofficially became the first driver ever to take laps on what was then the newly configured layout. "I made a bunch of laps there in my father's El Camino one Saturday afternoon, just riding around the race track while it was being worked on before the security guards realized there was somebody on the track." That deep-seated bond with AMS will come full circle for Ragan this Sunday, when he makes his 400th career Monster Energy NASCAR Cup Series start in the Folds of Honor QuikTrip 500 on that very same asphalt. But it was the Thunder Ring where Ragan's driving career began in earnest. Between 1998 and 2000, he ran more than 40 races in both Bandolero and Legends cars, cutting his teeth on what is still to this day one of the toughest quarter-mile asphalt tracks in the Southeast. Both David and his father were cornerstones in the now 21-year-strong program that has graduated dozens of young drivers into professional racing's upper-most levels. Fast forward three years from Ragan's Legends days, and he was already contending for wins in the ARCA Racing Series by 2003. He then got his first taste of NASCAR's national-level competition when he ran a 10-race partial schedule in the Camping World Truck Series for owner Tom Eldredge a year later in 2004. Another three years after that, Ragan arrived at the top as a fresh-faced 21-year-old, ready to take on the best of the best that stock car racing had to offer. He signed on with Jack Roush in 2007 to drive race cars in the Monster Energy NASCAR Cup Series, and he hasn't looked back since. With a fifth-place finish in the 2007 season-opening Daytona 500, just his third career start at NASCAR's top level, Ragan set off on a journey that quite literally hasn't missed a beat in 11 years. In 399 Cup Series starts entering the Atlanta Race Weekend, including that first Daytona 500 back in 2007, Ragan has seen it all - two wins, two poles, several team changes and even a fill-in stint for Kyle Busch at Joe Gibbs Racing in the eventual championship-winning No. 18 car in 2015. With all the places he's been and all the things he's accomplished behind the wheel of a race car, it's fitting that his 400th Cup Series start will come at his home, Atlanta Motor Speedway. "It's very special just to have made it to 400 starts. I think that's a huge accomplishment," Ragan said. But "for it to happen at Atlanta Motor Speedway is pretty neat. I couldn't have scripted it any better. Atlanta Motor Speedway is where I got my start racing in my Bandolero car. It's a special place to me and my family, and it's pretty cool that I'm going to run my 400th race there." Ever gracious and humble almost to a fault, it's not lost on Ragan how rare a feat 11 consecutive years without missing a single race at the elite level of stock car racing really is. "As a young kid, I dreamed of being able to race at some of these large tracks and to get my NASCAR license," he said. "I remember being so happy when I got my first NASCAR license when I was an 18-year-old going to race in late-model stock cars. "So to be able to have raced at all these different tracks and to have met a lot of great people and to have done all of that consecutively and to have been fortunate enough not to be injured and to be able to continue racing and have team-owners that would let me drive their cars, that's something really special." Through it all, he credits his father for setting him up for success from the very beginning. A former stock car racer himself at the top level of NASCAR competition, Ken Ragan has been a key player in the world of motorsports both near his longtime home in Middle Georgia and on the national stage itself. Without his father's guidance, know-how and unwavering support from his Legends days at Atlanta in the late '90s all the way through to that first Daytona 500 in 2007, the younger Ragan knows a lot of what he's been able to accomplish would not have been possible. "My dad's involvement in the sport really paved the road for me to make a career in motorsports," said Ragan. "I wouldn't necessarily say just his driving - my dad started 50 Cup races and some Grand National and ARCA races - but he owned race tracks and race teams. He owned engine shops. He is an employee of Speedway Motorsports today. I think the relationships he made along the way and my family members made along the way helped a lot. "We didn't have a huge checkbook and unlimited funds when I was young and trying to hone my skills and get established as a young kid that wants to race. The relationships my father made over the years helped me get that engine from someone or go test somewhere or get some free passes when we needed to bring a sponsor to a race. "That helped a lot to get a few doors opened for me. I had to work hard to keep those doors open, but without my father being involved in the sport in the 1980s, it would have been hard for me to break into the sport." 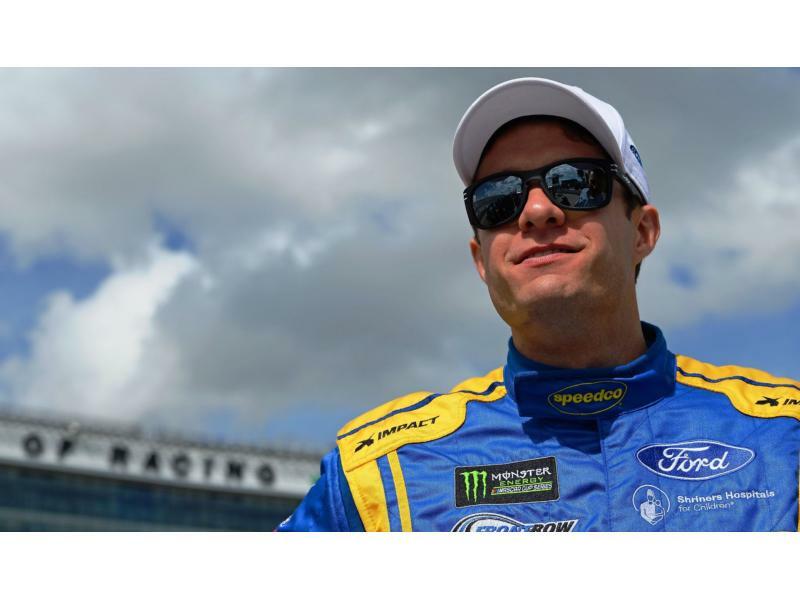 Now in his 12th straight year of Cup-level competition and on the second year of his second stint with Front Row Motorsports, Ragan's focus is on finding consistent success to go along with his consistent streak of races. With two wins under his belt with the team, one each in 2011 and 2013, he doesn't see the team's relatively small size as a disadvantage. Instead, he considers their collective history and the camaraderie built over time in the shop as a foundation on which they'll build success in the still-young 2018 season. 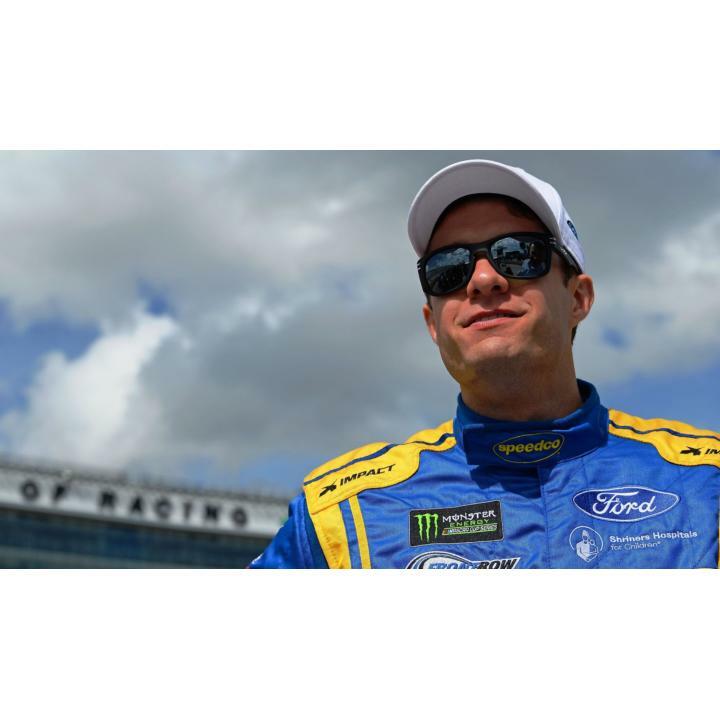 "2018 is looking on paper to be an exciting year for myself personally and for Front Row Motorsports," he said. "I feel like Front Row is one of those teams that, we're a close-knit family and everybody in the shop and the mechanics on the road, we're good friends. We get along, and it's a small team, and we all have a pretty big impact on the program itself." As far as his 400th start at Atlanta Motor Speedway in the Folds of Honor QuikTrip 500, it's certainly not out of the question for his milestone homecoming race to be a winning one. "I have had a little success there in all three series," Ragan said. "I have been in contention for some wins and have a few top-fives and top-10s, but it would be really cool and special to win at Atlanta or to just have a really good day. Atlanta Motor Speedway is a cool track and I like going there." Whether or not he's victorious in his 400th career start on Sunday, Ragan's legacy as among the most celebrated Georgia drivers in the history of the sport will be preserved long after the checkered flags fly, as he works ever-diligently towards his next career milestone.